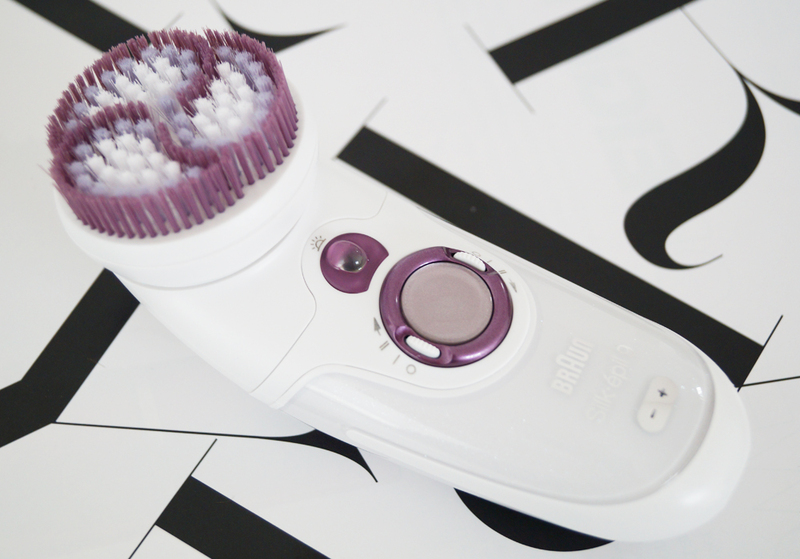 I got the opportunity to try the epilator and the exfoliator model Braun Silk.épil 9 Skin Spa. As you can see, I did not refuse the generous offer. Considering the actual summer and therefore bikini time, I thought that this blog might be of interest. Proper shaving can be very time-consuming and/or boring. So, the faster and the easier, the better. Shaving my legs with the epilator Silk.épil 9 took me only 10 minutes. The result exceeded my expectations and I was thrilled about smooth and perfectly shaved legs. This feeling will last for four weeks. Preparing the skin with the exfoliator before shaving will optimize the process. 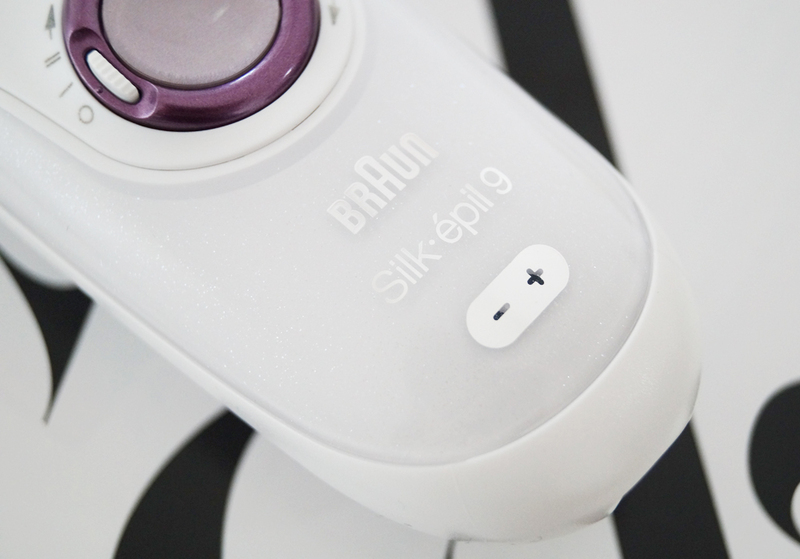 The Braun Silk.épil 9 SkinSpa package contains not only an epilator, but also two exfoliators - like a brush for peeling and brighteniing the skin (do not use the exfoliator for the facial part). Using these tools it is also a perfect preperation for a intended for self tanning. 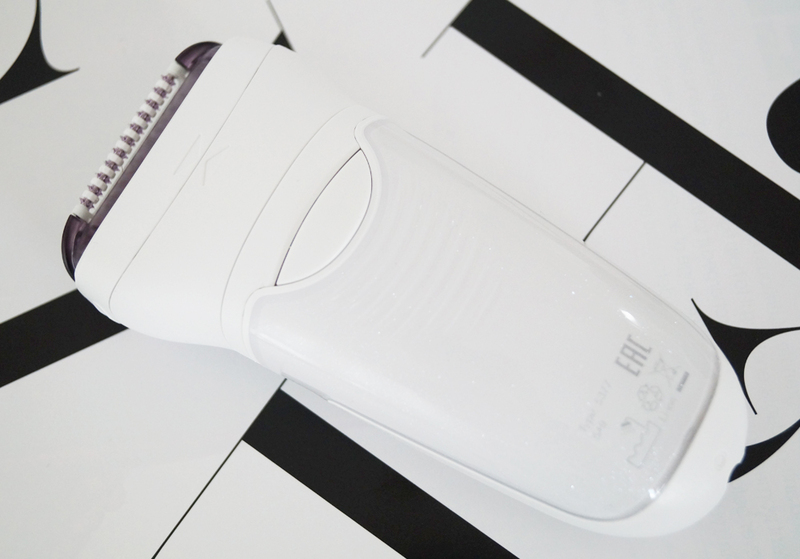 The epilator Silk.épil 9 is very innovative, it has a wider head and longer tweezers, which take a lot more hair at the same time, than any other epilators does. Conclusion: quicker and smoother. I do not lie to you, the firts time it hurts the most, but repeated use reduces the sensitivity a lot. 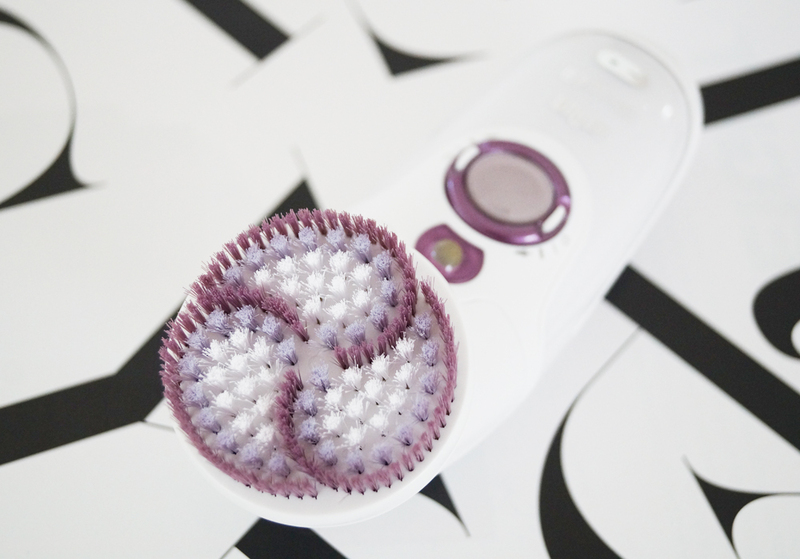 The epilator is waterproof and can therefore be used also in the shower/bathtub, which is recommended. Should you get nevertheless iritated skin, cool the part with cold water. It works. 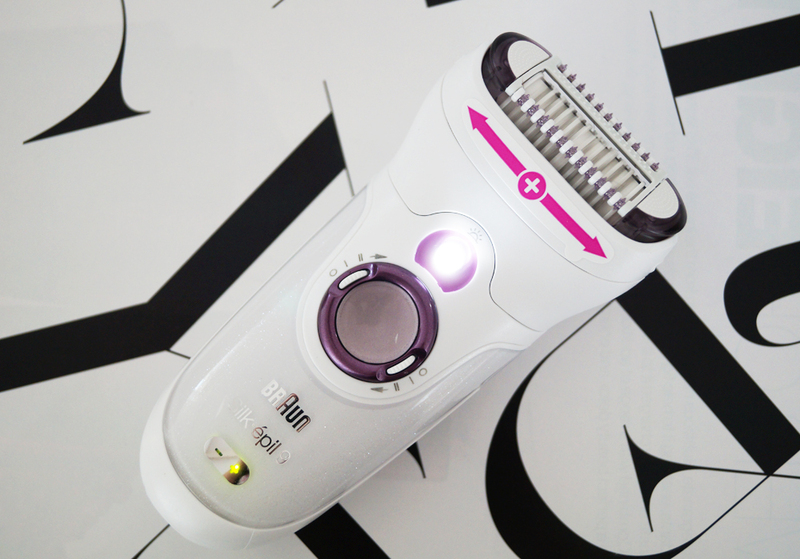 The epilator is a very handy and practical instrument to constantly keep your bodyhair for growing too long as it cuts properly also the approach of regrowing hair (0.5 mm). Just great. 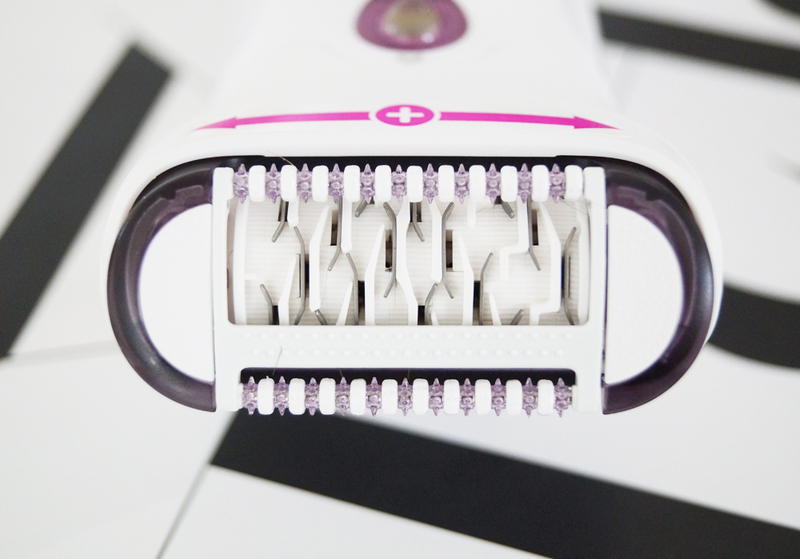 The design of the epilator is a separate matter. 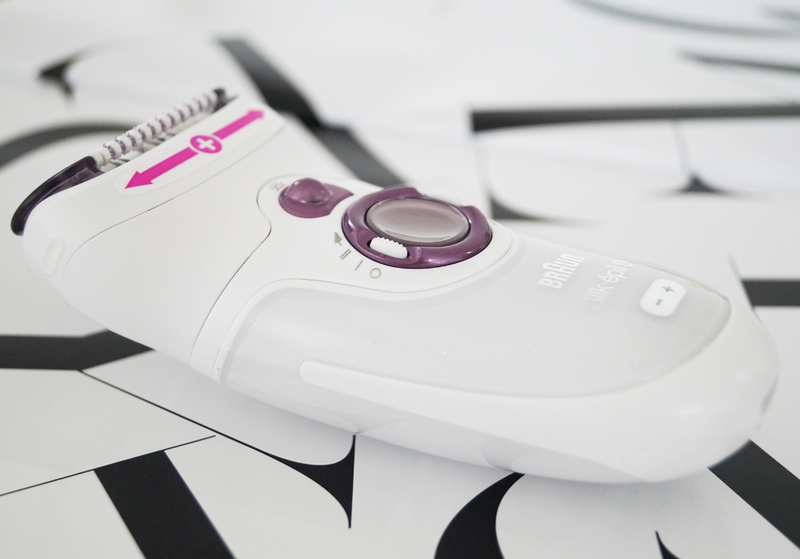 The epilator has a very elegant, comfortable and good grip shape. The head is flexible and glides over the skin easily and adjust also perfectly to our tricky areas such as knees, underarms or bikini lines. The subtle purple color only underlines its sophistication. 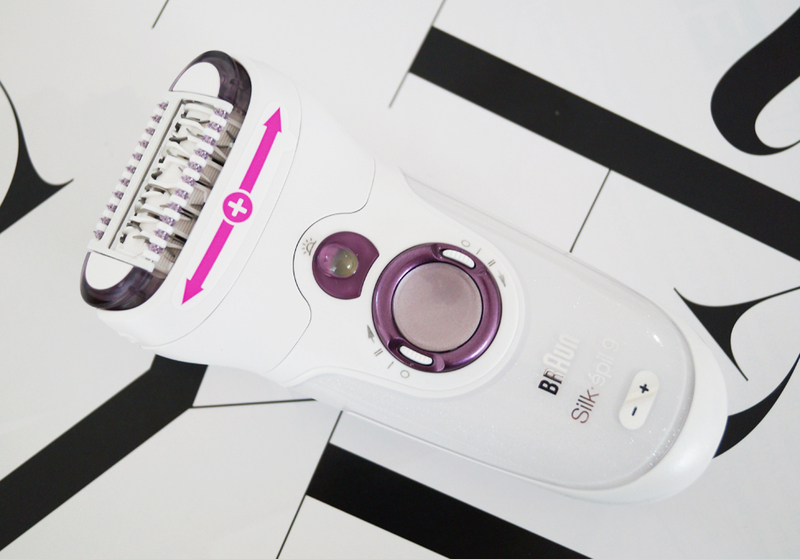 The epilator has two speeds and an integrated light to enhance visibility of the areas to be treated. Until now I used to shave by the window - thanks to the integrated light I do not have to do this anymore. I think I mentioned everything I wanted. And conclusion? I am thrilled from this epilator Silk.épil 9. I hope you will be too. Dostala sa mi príležitosť vyskúšať epilačný strojček a exfoliátor Braun Silk.épil 9 Skin Spa. Ako vidíte, neodmietla som. Prišlo mi to ako veľmi aktuálne a zaujímavé téma. Oholené nôžky sú must. A v lete dupľom. Holenie môže byť jedna veľká nuda. A čím trvá kratšie a vydrží dlhšie, tým lepšie. Holenie nôh strojčekom Silk.épil 9 mi trvalo 10 minút a hladké nohy vydržali dobré štyri týždne. Než sa ale dostanete k holeniu, je dobré pokožku na holenie pripraviť. Balenie Braun Silk.épil 9 SkinSpa obsahuje okrem epilátora taktiež dva exfoliátory - kefky na jemný peeling a rozjasnenie pokožky (exfoliátory nie sú určené na pleť). To sa mi taktiež náramne hodí ako príprava na self tan. Depilačný strojček Silk.épil 9 je inovatívny, má totiž širšiu hlavicu a viac pinziet, vďaka ktorým vytrhnete oveľa viac chĺpkov naraz, než s iným bežným strojčekom. Čo znamená, že sa zbavíte chĺpkov rýchlejšie. Čo sa citlivosti týka, tá sa znižuje pri opakovanej epilácii. Či prvé holenie bolí? Au. Bolí. Aj s tým najlepším epilátorom na svete. Nebudem vám klamať. Strojček je vodoodolný a je možné použiť ho taktiež v sprche, čo vrelo doporučujem. Ak budete mať pocit pálenia, schlaďte miesto jednoducho studenou vodou. Funguje to. Doteraz som vždy čakala, kým mi chĺpky dorastú, aby som ich mohla oholiť. S týmto epilátorom už nemusím. Pinzety zachytia chĺpok len 0,5 mm dlhý. Paráda. Na dizajne si dali jeho výrobcovia extra záležať. Strojček má veľmi elegantné tvary a v ruke sa drží príjemne a pohodlne. Hlavica je pohyblivá. Vďaka tomu pekne kĺže po pokožke a perfektne oholí komplikované miesta, ako sú napríklad kolená, podpazušie alebo oblasť bikín. Decentné fialové farby len podtrhujú jeho sofistikovanosť. Strojček má dve rýchlosti a (predstavte si) osvetlenie, ktoré zvyšuje viditeľnosť chĺpkov. Doteraz som sa epilátorom holila len pri okne. No vďaka integrovanému osvetleniu môžem aj v prítmí. Myslím, že som spomenula všetko, čo som chcela. A záver? Z epilátora Silk.épil 9 som nadšená. Ako inak. Som si istá, že budete aj vy. hummm, i like the design and the integrated light is really nice.Must try that one. Thank's by the sharing. I ve got the same epelator.What I really love is the exfolatior. But not o use so often. I use this one as well. The integrated light helps a lot to look for hair which might get missed otherwise. I would like to try, thanks for sharing! I would love to try one of these!! Thanks for another great review! Would be nice to have one! Tuhle věc jsem si nikdy nekoupila. Sama nevím proč. Ale vypadá skvěle. Nice epilator model. I tried the old ones and work well. Nice giveaway! Iwant to try it! Braun is the best to pick. It works for every parts of body. But if you a need an epilator dedicated for face you can check this one.